So the first thing is clicking links from google search or other sites will get redirected to lnksdata.com , crackle.com, those are the ones I remember...Its infected all my browsers including chrome and firefox. Last night I was watching a youtube video in chrome and I looked in the corner and adblock had blocked literally over 2000 pop ups....thats just the ones that don't get through....get a lot of embedded ads on websites. I did a complete scan with Avast and Malwayre Bytes, they found a Trojan and some other stuff but didn't help the link hijacking or pop ups... I tried to use OTL several times, it crashes as soon as it starts checking Firefox settings (I'm on Windows 8)...tried downloading OTL again from a different site and gives me the same problem...Thanks in advance for all your help, I have to use my cell phone for everything online because I'm afraid of getting hacked or worse. Edited by hank_venture, 25 July 2013 - 06:59 PM. Lets give it a try. You will need a flash drive. You are using two antivirus. 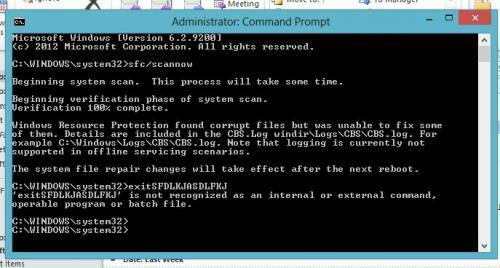 Such as: Online Scans and scanners that run on your machine but are not actively scanning your machine. 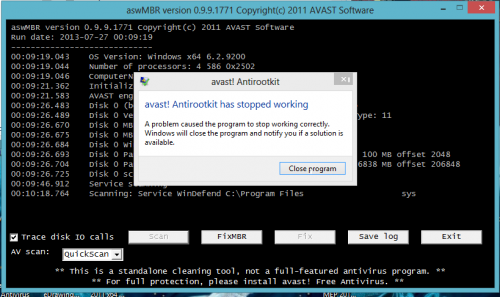 I would suggest you remove AVG and keep AVAST. I downloaded the software from the link and ran the exectutable. Crashed twice so I restarted the computer and re ran it...crashed again. 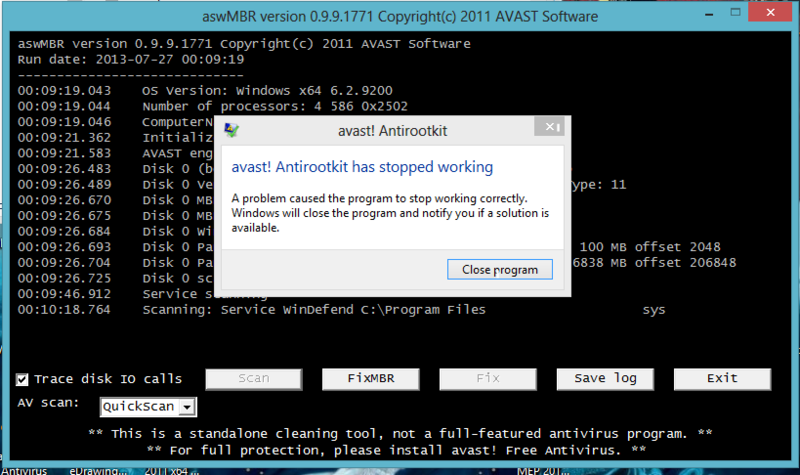 It says Avast Rootkit stopped working. I attahched a screen shot. Thank you. RKill is a program developed at BleepingComputer.com that was originally designed for the use in our virus removal guides. It was created so that we could have an easy to use tool that kills known processes and remove Windows Registry entries that stop a user from using their normal security applications. Simple as that. Nothing fancy. Just kill known malware processes and clean up some Registry keys so that your security programs can do their job. So in summary, RKill just kills 32-bit and 64-bit malware processes and scans the registry for entries that would not allow you to run various legitimate programs. When scanning the Registry, Rkill will search for malicious Image File Execution Objects, DisallowRuns entries, executable hijacks, and policies that restrict your use of various Windows utilities. When changing Windows Registry entries it will create a backup of these entries and save them in the rkill folder on your desktop. Each registry backup will contain a time stamp so that the backups are not overwritten on subsequent runs of Rkill. Since RKill only terminates processes and does not remove the offending files, when it is finished you should not reboot your computer. If you do, these malware processes that are set to start automatically, will just start up again. 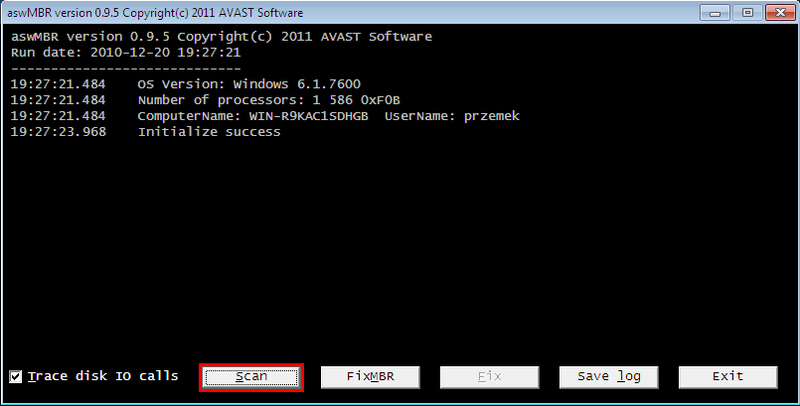 Instead, after running RKill you should scan your computer using your malware removal tool of choice. If there is a problem after running RKill, just reboot your computer and you will be back to where you started before running the program. I also get a dialog box upon restart that says "there ware a problem starting C:\program files(x86)\conduit\ct3298573\plugins\tbverifier.dll the specfified module could not be found" "
Program started at: 07/29/2013 06:14:14 PM in x64 mode. Resolution: Download the latest drivers from the manufacturer, uninstall the current driver, and then install the latest drivers. Description: The program Explorer.EXE version 6.2.9200.16628 stopped interacting with Windows and was closed. To see if more information about the problem is available, check the problem history in the Action Center control panel. Description: Activation of app microsoft.windowscommunicationsapps_8wekyb3d8bbwe!Microsoft.WindowsLive.Mail failed with error: -2147023174 See the Microsoft-Windows-TWinUI/Operational log for additional information. Lets check the integrity of the system. uh oh....I copy pasted SFC /Scannow , and a ms/dos window and flashed briefly. Restarted and tried again with same outcome. Once finished, type Exit and press Enter to return to Windows. Let me know the outcome. Hello. I have posted a screen shots of the results.